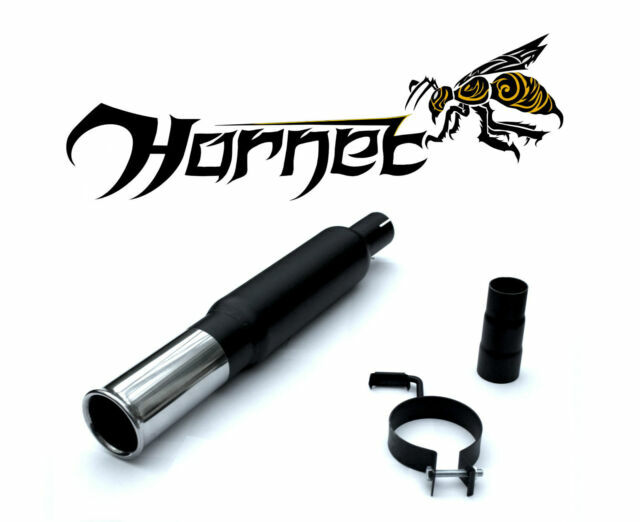 Hornet Universal Backbox - 3" Tailpipe. Had a few items before and as usual its perfect. Fantastic build quality, looks great and the sound is awesome! Watching more items that i will definetly buy from hornet. Cant possibly recommend them enough! Perfect, haven’t got my car yet but look forward to when I do so I can put this pristine product on it. Brought this more for the look.....omg the sound is amazing which is a massive bonus. I cant recommend it enough especially for the price! Fitting was a bit of a mare but a bit of time and perseverance and i got there. Over all extremely pleased with my purchase.